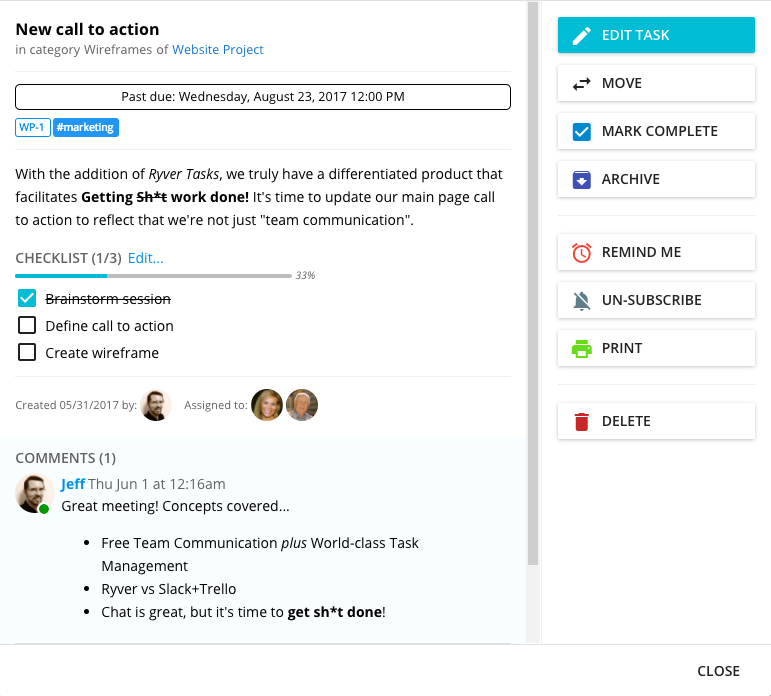 Ryver supports showing IDs for your tasks, which you can use to easily reference specific tasks in chat, posts and comments. 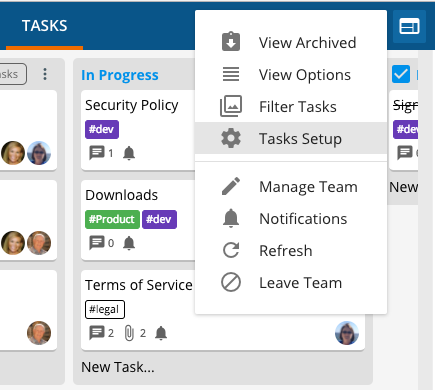 Each task board/list can be configured with its own ID prefix, and then numbers will be automatically added to the prefix every time you create a task. To turn on Task IDs for your team, go to the TASKS tab, click on the ellipses menu in the header, and select Tasks Setup. In the Tasks Setup dialog, enter a prefix that will apply to all tasks in this team. You can re-use an existing prefix, or create unique prefixes for each team, to better distinguish between projects. 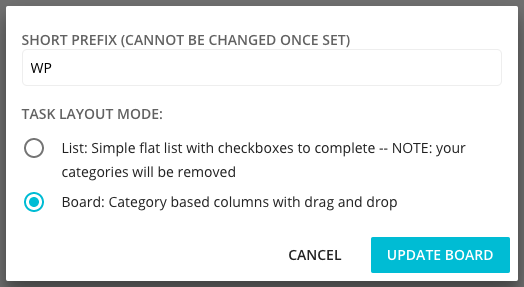 Click UPDATE BOARD, and the selected prefix will be used to apply IDs to any existing tasks. 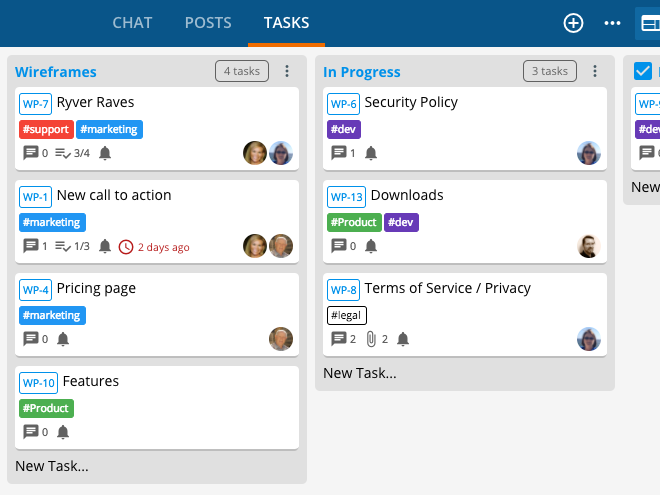 You can now refer to your tasks in chat, posts and comments by typing # plus your task ID: #wp-1. Once you enter the dash, Ryver will recognize your prefix and help you locate the right number via auto-complete. Click on a task ID in the product and we’ll pop it up in a dialog right there.